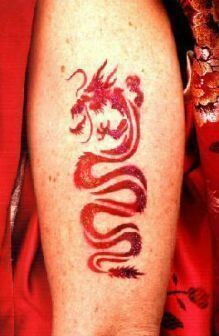 Airbrush tattoos are created with a stencil, an airbrush gun and a compressor. Airbrush tattoos are created with a stencil, an airbrush gun and a compressor. They result in quick and high-quality body art. We can use water-based paint that washes off or alcohol-based paint for a semi-permanent design lasting 1 - 4 days. 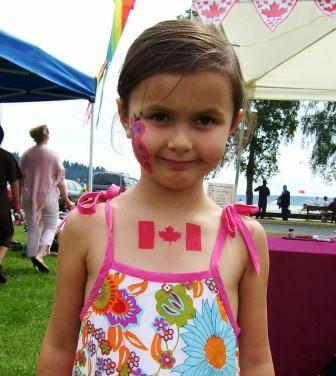 Airbrush tattoos are perfect at children's parties, after-grad parties, adult events and corporate events (if they are not ultra-formal). Mehndi & More has over 200 different airbrush stencils including dolphins, butterflies, spiders, frogs, geckos, flowers, dragons, Celtic designs, tribal patterns, armbands and letters of the alphabet. We can also create an airbrush stencil of your logo, event theme or whatever you like! Please note an electrical outlet is needed for airbrush tattoos. 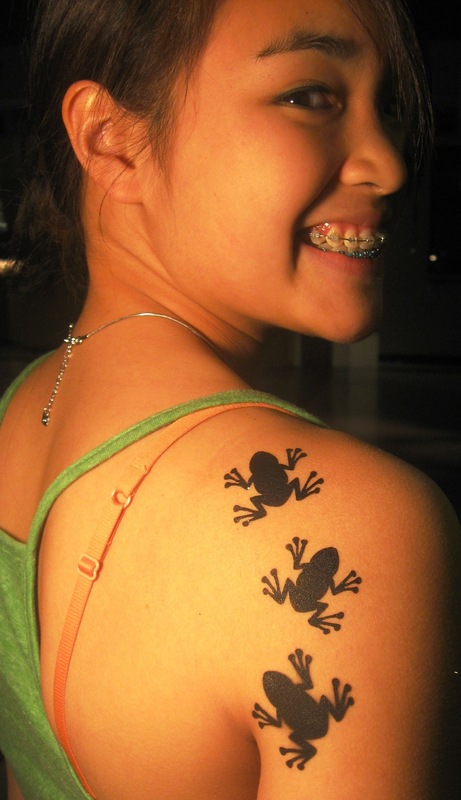 Airbrush tattoos take less than a minute each, making them the fastest service.